Canine kidney disease affects up to 10% of dogs, and we start to see it when dogs reach the age of 5 or 6. Kidney failure, on the other hand, due to an injury, severe infection, trauma or ingesting a toxin, can occur at any age. Your dog’s kidneys filter waste and toxins from her blood and then the toxins are removed from her body in her urine. When the kidneys are not working well, toxins can build up in a dog’s body, making the dog feel sick. 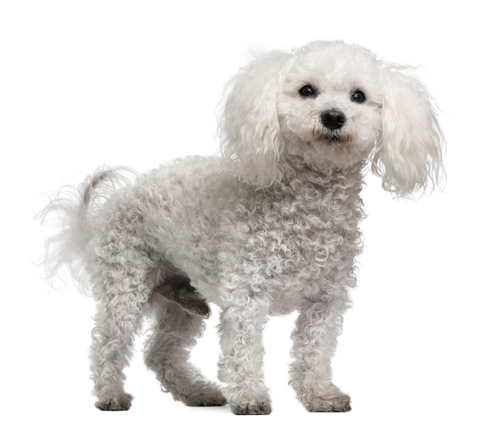 This Bichon Frise is 12 years old. 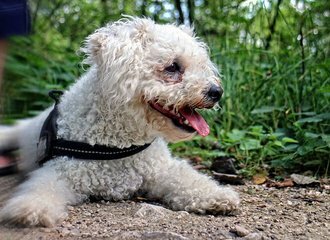 When Bichons get to be this age, you should watch for symptoms like frequent peeing or drinking excessive amounts of water. Chronic kidney disease develops slowly over time, and it is not easy to see determine that your dog has a kidney problem, until the disease is well advanced. When the kidneys have lost almost all of their function, your dog has kidney failure. How do vets test for kidney disease? Can a dog with kidney disease get well? One of the most common conditions seen in dogs, we see canine kidney disease in all dog breeds and in both males and females. Your dog’s urinary system has two main jobs. It removes wastes and poisons from the bloodstream and it regulates fluids in her body. The kidneys filter out wastes from the blood and the ureters take the resulting urine from the kidneys to the bladder. Kidneys also produce a hormone that stimulates the production of red blood cells, and they also help regulate blood pressure. As your dog ages, his kidneys deteriorate with normal wear and tear and they develop scar tissue which interferes with their function. The kidneys get smaller in size and they are gradually less efficient at filtering out wastes from the blood. When this happens, this is chronic kidney disease in dogs. Becomes severely dehydrated because of an infection or because she does not have access to fresh, clean water. 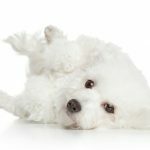 Bacterial infections in the kidneys – Bichon Frises, with their frequent urinary tract infections, are candidates for this problem. Has an injury to the kidney or kidneys – An injured kidney will usually regain some or most of its function. Is older and has had chronic kidney disease for months or years, that has become more severe over time. Canine kidney disease can be chronic or sudden, and even a young dog can have kidney failure, if he eats or drinks something toxic. Acute canine kidney disease is a medical emergency. We mostly see acute kidney problems when there is sudden major damage to a dog’s kidneys. With acute kidney disease, your dog may be extremely dehydrated, vomiting, go into shock, become unconscious and could suddenly die. That is why you need to seek medical attention quickly if you suspect that your dog has ingested poison or has acute kidney issues. If your dog is treated quickly, acute kidney failure can often be reversed. Chronic canine kidney disease develops slowly. Usually you won’t even know that your dog has a problem until over 70% of her kidneys are no longer functioning. However, there are a couple of things that you might notice. Your dog may change her pattern of peeing, perhaps now having to go out at night or becoming incontinent. And you may see that she walks stiff-legged and has a hunched back. There are four stages to dog kidney disease, and the symptoms become more serious with each stage. What are the stages of canine kidney disease? If your dog has kidney disease, she will probably not have symptoms until Stage 3 or 4. Stage 1 – At this stage, your dog will not have symptoms. 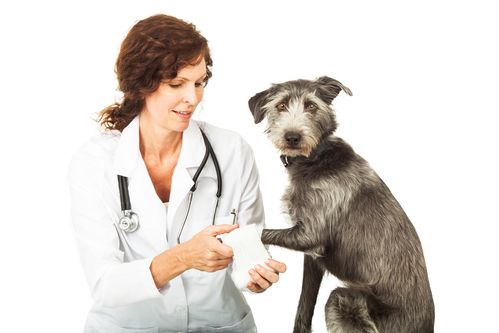 Your vet would need to do lab tests on your dog’s blood and urine. Stage 2 – Waste filtering slows and there is a buildup of toxins in the body, and liquids in the urine are not out of balance. Your dog may be urinating more often, perhaps incontinent at times. Most often, your dog will not show symptoms at this stage, and dogs still function quite well. However, you probably will see an increase in the amount of urine that your dog pees. Stage 3 – Kidneys are now working at less than 60%. Your dog is drinking lots of water and peeing quite often. This is often when you notice changes that require a visit to the vet. If your dog has been diagnosed with kidney disease at Stage 3 or 4, you should now take him to the vet every month or two. The function of kidneys is complicated, because it ties in with other organs. With older dogs, we need to be especially careful. Senior dogs have urinary tract infections more often and they may have high blood pressure, an autoimmune disease or heart disease. These conditions can complicate matters or contribute to your dog’s kidney symptoms. Some medications can cause kidney damage, especially if they are taken for a long period of time. In addition, if you failed to care for your dog’s teeth, bacteria from periodontal disease can affect your dog’s heart and her kidneys. So can infections of the prostate or bladder. When waste builds up in your dog’s bloodstream, it can lead to ulcers in your dog’s stomach or intestinal system and anemia. If you smell an ammonia odor on your dog’s breath, that is a symptom that should be reported to your dog’s vet. With aging dogs, another emergency is rapid dehydration. Even mild episodes of vomiting or diarrhea can cause dramatic changes in your old dog’s water and pH balance. There is no cure for canine kidney disease. Unfortunately chronic kidney disease will just get worse as time passes. If your dog has become very dehydrated, your vet may suggest intravenous fluids or a feeding tube. A catheter may be inserted into your dog’s bladder or she may be given medication. The goal is to get your dog’s urine flowing. When none of these treatments work, and your dog is still not getting rid of waste by peeing, the only options left are kidney dialysis, a kidney transplant or euthanasia. Dialysis is not readily available for dogs, and kidney transplants are rare and out of reach financially for most families. Most dogs do not have this level of impairment. With treatment, dogs with as little as 5% of kidney function intact, can live for a long time. There are some things that you can do to slow down the loss of kidney function. 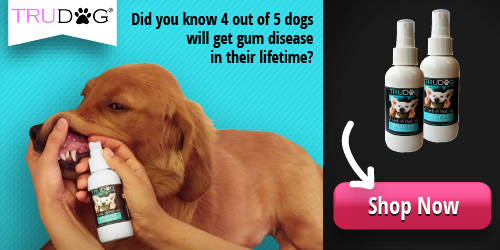 And you can also help your dog feel better, as well. Provide plenty of fresh, clean water – Dogs don’t like to drink dirty water, and some will refuse to do so, even if they are really thirsty. If your dog has kidney disease, she needs lots of water. Consider placing a water bowl in each room and refresh them frequently each day. Another option is to get water fountains that provide fresh water continuously. Some dogs will drink from a water fountain when they are refusing water from a bowl. If you go this route, look for a fountain with filters to clean the water. Provide food appropriate for kidney disease – Your dog needs a balanced formula for adult dogs that is low is phosphorus and has high quality protein. This dog food was created for dogs with kidney disease. The right dog food can make a world of difference for your dog! Medications to regulate phosphorous and calcium levels – may be prescribed by your vet. Address any underlying medical conditions – If your dog has periodontal disease, you may need to discuss what to do with your vet. Healthy dog treats – Try giving your dog cranberry dog treats to help keep her urinary tract infection free. Or, alternatively, perhaps your dog would like Mattie’s treats, created especially for dogs with kidney disease. The idea is to use treats as a way to supplement your dog’s diet with healthy nutritional support for her kidneys. While the prognosis is not good for dogs with kidney disease, most dogs will live for quite a while, even with very low kidney function. This is a time to spend time with your dog and enjoy his last few years or months together.